The MicroPro™ syringe pump is specially designed to meet the requirement of extremely small eluent streams and SunChrom is its exclusive dealer in Germany. This pump can provide a flow rate of 10 nL/min in isocratic mode or 1 µL/min in gradient mode. Typical applications for the MicroProTM syringe pump are in micro and nano HPLC and in process control. Since the pump is modular it provides a perfect adjustment to the requirements. This syringe pump allows a split-free delivery of the eluent at flow rates as low as 1 µL/min in gradient mode. 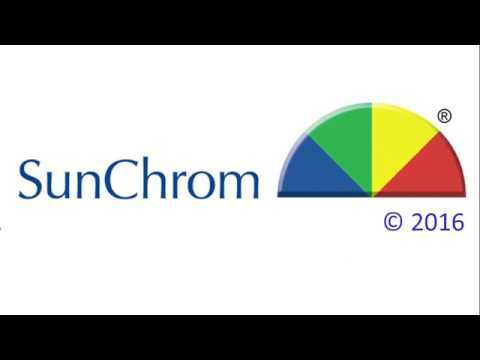 Below that level a simple and reliable splitter is available from SunChrom. Therefore the use of columns with an inner diameter from 50 µm to 2 mm with an extremely stable flow rate is possible. In case a narrowbore, microbore or capillary HPLC is used or a direct coupling to a mass spectrometer is desired the MicroPro™ syringe pump always delivers the correct flow. A minimal system volume and the absence of a dead volume are significant requirements for the successful implementation of micro and nano HPLC. The MicroPro™ syringe pump can be operated in several modes depending on the employed tubing . All parameters can be entered directly via a time based program on the instrument keyboard or via an optional PC control. gradient mode: up to 4 eluents can be mixed in compositions ranging from 0 to 100%. The concentration of the eluents can be changed manually or via a time based program. A control program compatible with windows is already installed on the HPLC module. The LCD-Panel and a graphic interaction screen with all necessary pump parameters provide easy use. If required there are two syringe sizes, manual and automatic high and low pressure valves, an oven and a pressure regulator available.